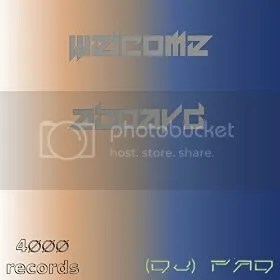 4000 records | Sonic Smash-Music! The French composer of electronic dance music known as DJ Pad has released his latest official LP album, “Dubstep: Second Strike.” The album contains 15 original tracks for an approximate total listening time of one hour. Like Pad’s other records, it has been proudly published as an independent release by the 4000 Records underground label. Kaleidoscopic, pounding with bass, and full of tricks and surprises, “Dubstep: Second Strike” is perhaps the most innovative material to come from DJ Pad yet. DJ Pad is perhaps best known around the world for arguably being Europe’s most prolific EDM artist, if not her most prolific musician altogether. Having been composing electronic music since 2008, Pad has amassed a titanic repertoire of more than 700 original tracks in over 30 music genres, mostly electro- house, trance and dubstep. He averages about 100 songs each year, most of them over four minutes long. If a DJ Pad fan were to listen to all of Pad’s music end-to-end without taking any breaks, DJ Pad songs would still be pouring from the speakers on the dawn of the third day. Amazon Digital Music alone hosts more than 200 of these original songs available for sample, sale and download. Yet Pad somehow still finds new ways to branch out and discover melodies. “Dubstep: Second Strike” is a highly polished sequel to his 2014 record, “Dubstep: First Strike,” and an avid music listener can hear the subtle complexities which have arisen in Pad’s style over the last two years. Another change is that “Second Strike” is only an hour long. Some Pad albums are as long as three. Tracks which are sure to stand out include the opening song, “Arpy,” the eclectic “Spacy and Curvy,” and the mellow “Beach Basket.” A reggae-flavored track, “Not so Long Title” is also prominent. Pad’s closer, “Glossy Elephant,” is a welcome throwback to the golden age of electronica with a heavy coat of dubstep on it. As DJ Pad fans have come to expect, this is yet another remarkable success from the artist, one which no Pad collection is complete without. This is likely to be perceived as the best from DJ Pad so far. 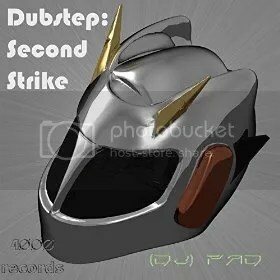 “Dubstep: Second Strike” by DJ Pad is available from 4000 Records online worldwide now. The French DJ known around the world as DJ Pad has published his new full-length album, “Welcome Aboard.” Like Pad’s previous releases, “Welcome Aboard” has been published independently on the 4000 Records label without the support of the corporate music industry. Also like earlier records from DJ Pad, “Welcome Aboard” boasts no fewer than 20 original titles for a grand total of over 100 minutes’ worth of digital music, nearly three times the amount which denotes a full-length LP album. A spectacularly creative EDM record with elements of house, deep house, post-trance, jungle, gabber, old-school techno and even a dash of rock ‘n’ roll, “Welcome Aboard” is perhaps the most inclusive and impressive album from Pad yet. Since his first appearance on the global digital music stage in spring of 2014, DJ Pad has gained a reputation for being the most prolific composer of EDM currently producing music in France (perhaps in Europe overall and conceivably even across the entire world). With a rapidly growing repertoire that will almost certainly consist of more than 700 original songs by summer of 2016, “Welcome Aboard” is another milestone which proves that DJ Pad can create high-quality music at a rate far surpassing that of any other internationally known digital musician. DJ Pad’s albums change radically from one to the next, each having its own character and intended subgenre of electronic music. Pad has at one time or another cited as main musical inspirations such artists as ATB, Tiesto, Armin van Buren, Afrojack, Sebastian, Swedish House Mafia, Infected Mushrooms, Psycraft, Hallucinogen, Cosmic Gate, Atomic Cat, Angerfist, Hanz Zimmer, Mike Oldfield, and a great many more. He has been crafting his iconic brand of EDM since 2008 and shows no sign of slowing his remarkable creative pace. The ability to write music across many categories is a rare talent. For DJ Pad, his musical skill extends even beyond digital music altogether, and in fact his creative roots are in traditional playing. He is an accomplished accordionist with nearly 20 years’ experience. With more than 50 hours of music by DJ Pad since he began making digital music, the sonic world wouldn’t be the same without him. “Welcome Aboard” by DJ Pad is available online worldwide from 4000 Records. Go get a taste.